Melonhead is my preferred name. Preferred by me, not my mom. She likes people to call me by my real name, Adam Melon. Luckily, itâ€™s too late for that because when my friend, Lucy Rose, invented Melonhead, it caughton fast.Usually I am the one doing the inventing. All my life, which is 10 years, great ideas have been popping in and out of my melon head. Sometimes they work. This year theyâ€™d better, because our class is entering an inventing fair. My friend Sam and I are dreaming up plans. And Capitol Hill has a ton of places to find invention parts. We just have to make sure to get home on time, with no excuses. If we get first place at school, it will be Chantilly, Virginia Regionals, here we come!The first book in an all-new series by Katy Kelly is nonstop adventureâ€”and trouble. 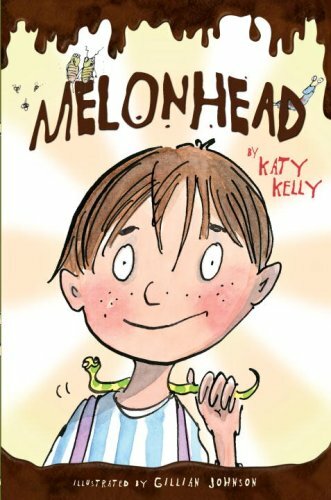 Meet Melonhead!Katy Kelly lives and writes full-time in Washington, D.C. Melonhead is her fifth book for young readers.From the Hardcover edition.